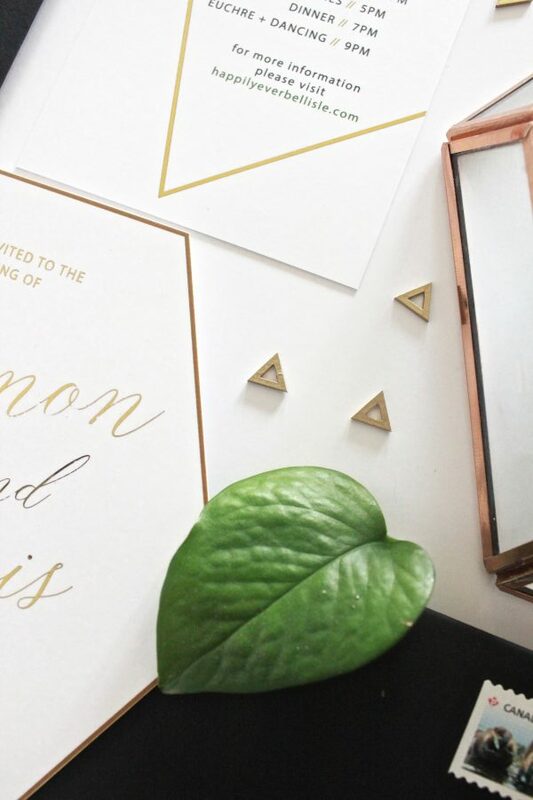 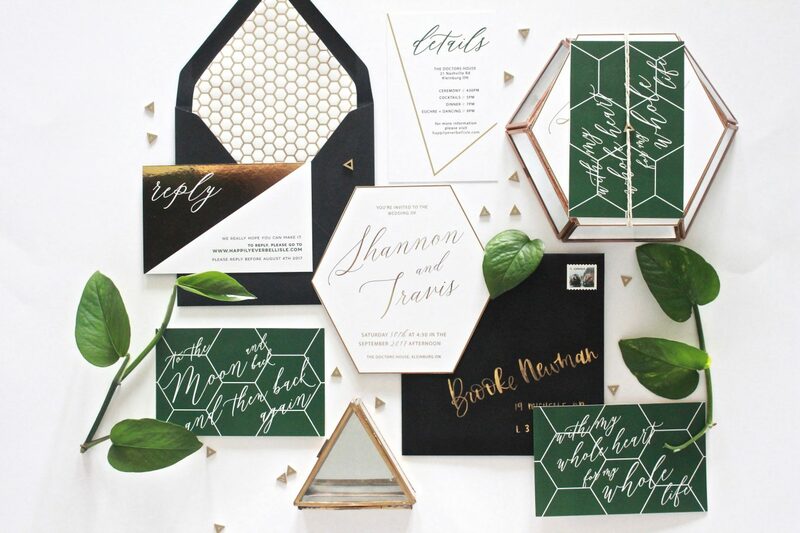 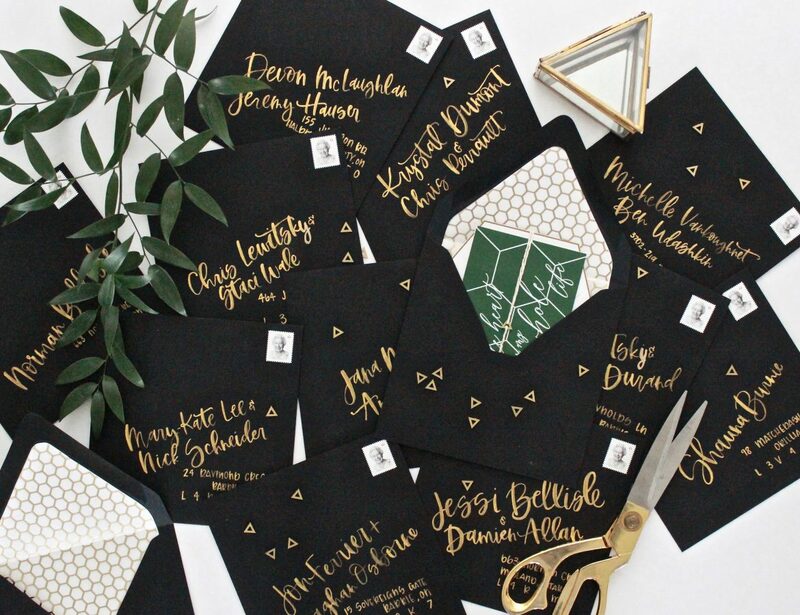 This invitation suite was my biggest challenge – because it was for my own wedding. 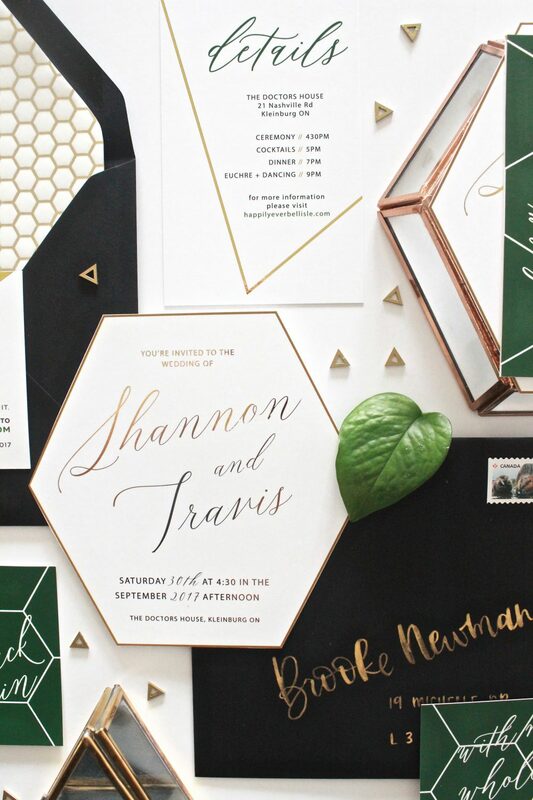 I wanted to bring in a geometric look, since that was a huge part of our overall wedding design. 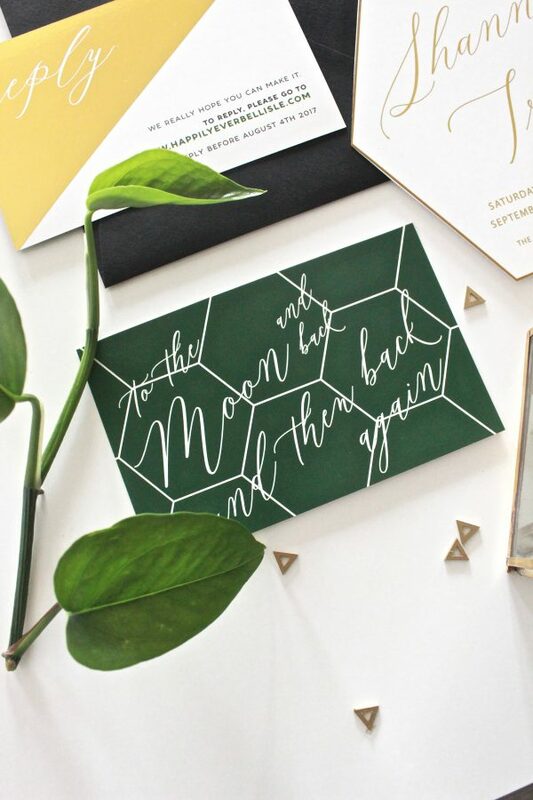 Going with a more modern design, keeping it bright white with hints of gold foil and green. 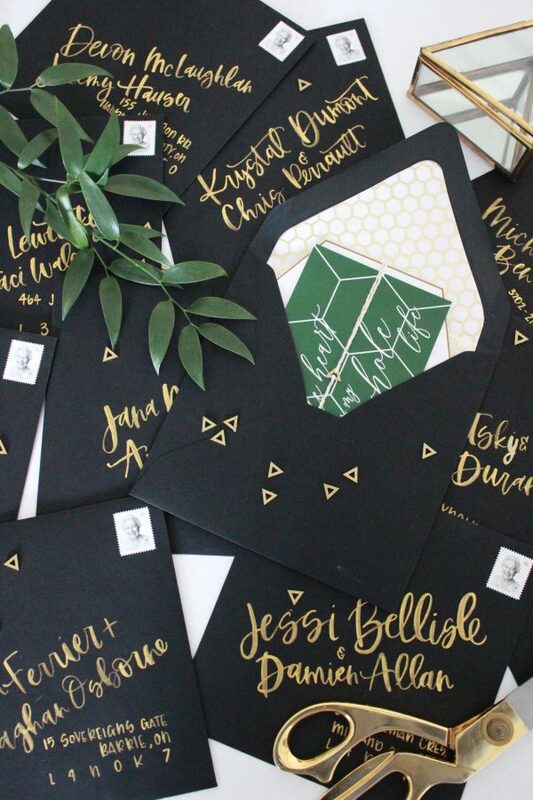 And the black envelopes give it that pop to really make it stand out.